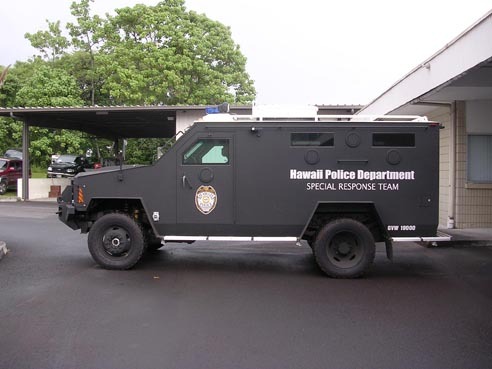 The Hawaii Police Department has received a new armored vehicle from the Department of Homeland Security. The “Bearcat” is being used by the Police Department’s Special Response Team, or SRT, which is similar to SWAT teams in other jurisdictions. It provides armored protection for officer safety in domestic terrorist events and other high-risk situations. 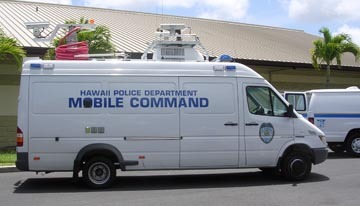 Its companion vehicle, the Mobile Command Unit, is equipped with electronics, radio equipment and a computer and can interface with other agencies during emergencies. The SRT also has a 4×4 van and an equipment truck. Both the Bearcat and the Mobile Command Unit were purchased at no cost to the county through grants from the Office of Domestic Preparedness in the Department of Homeland Security. 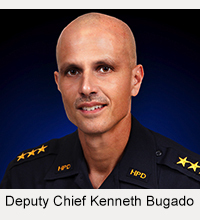 The Police Department took possession of the $240,000 Bearcat in July. The department received the $330,899 Mobile Command Unit in 2004. 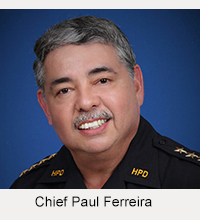 The Hawaii Police Department is the first police department in the state to have acquired an armored vehicle from the Department of Homeland Security.